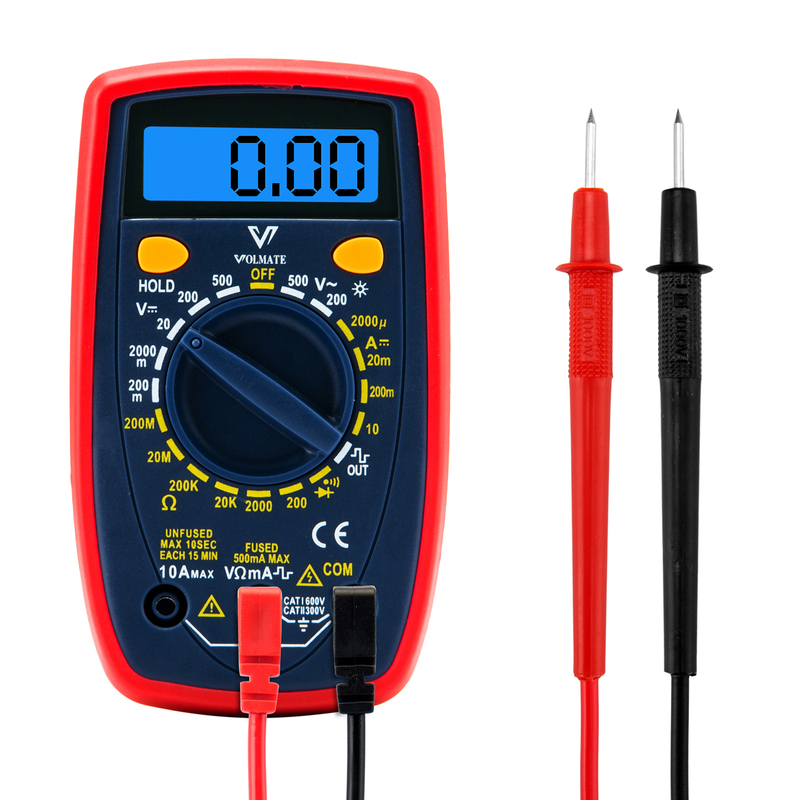 I just got this great Ammeter Ohmmeter from Volmate and it works great. It’s made of very durable materials so it is very versatile and easy to use. It will last a long time and is easy to use and hold. It’s a great tool to have to check electronic devices, it allows you to test the voltage as well as how much power is left in an item like a power bank. It has an adjustable dial that allows you to easily change the settings. I got this for my husband for his work, so I am not an expert on this. However, he reported to me that it works great, he has had no problems with it, and it’s very durable. He also likes the LCD screen, he said the backlight makes the LCD very easy to be seen especially if he is in a dark area like under a house or in the back of a closet.